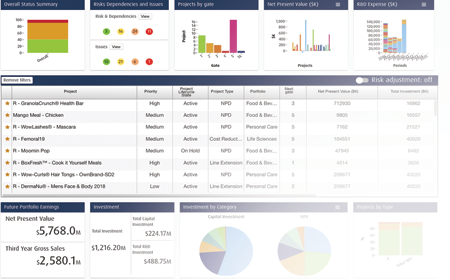 Our strategic planning tools have been designed to help you define portfolio requirements, assess priorities and constraints, and optimize investments. 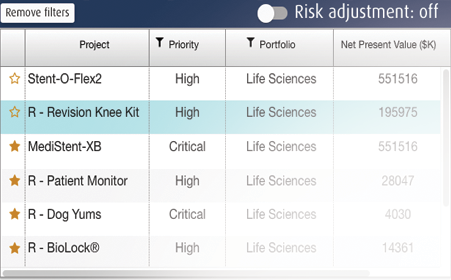 Configurable portfolio dashboards provide a rolled-up view of the full portfolio, or any subset. 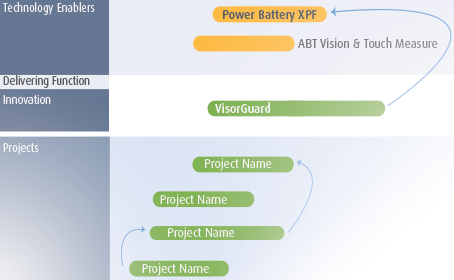 View and compare projects or programs by status, type, platform, business unit, or other parameters. 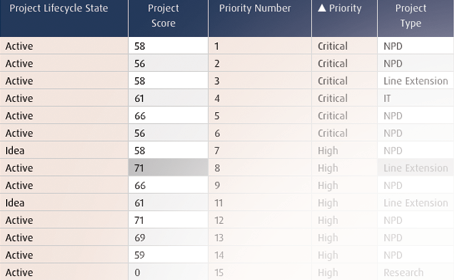 Prioritize projects according to expected benefits, costs, feasibility, and other factors. 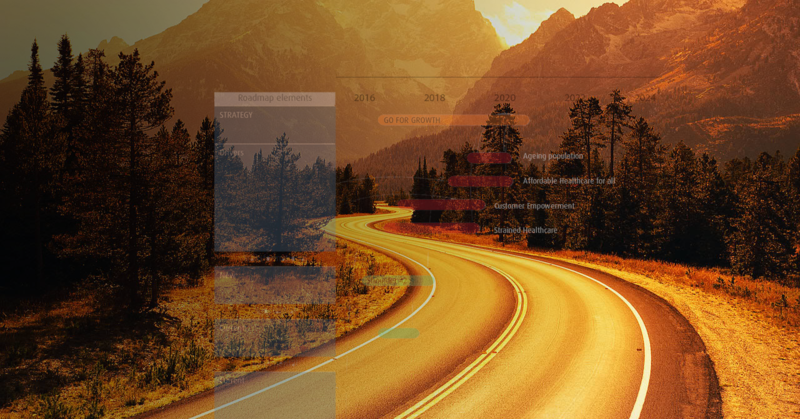 Changes are instantly reflected throughout the application, ensuring a common understanding of priorities across the organization at any given time. 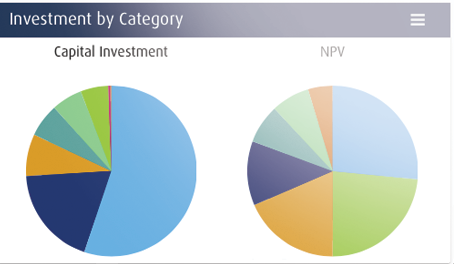 Consider current and hypothetical portfolios by exploring alternative allocations of budget, resources, and more. 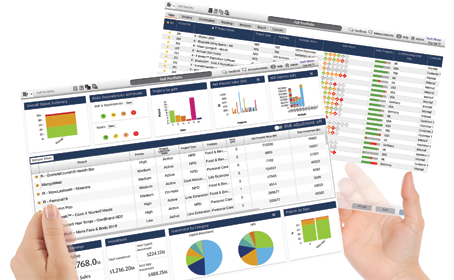 Scenarios illustrating the impact of decisions upon key metrics can be saved to compare and return to. 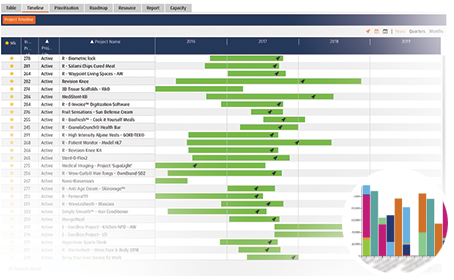 Create interactive roadmaps to link and monitor any number of dependent elements within your portfolio. Single or multiple maps can display your entire landscape or just a subset of a particular roadmap. Allocate your budget across your strategic goals and monitor actual levels of investment as you progress through delivery. Balance risks, optimize launch timings, and ensure that all parts of your business are being sufficiently supported by development teams. 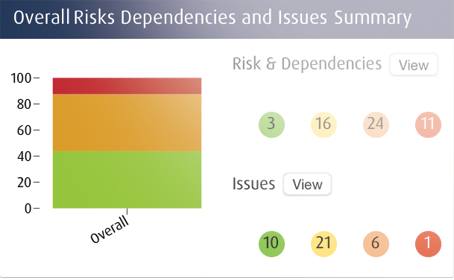 See and manage all project status, risks, and dependencies across various dimensions. 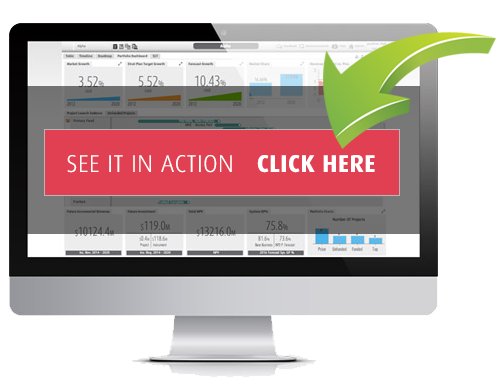 Dive into the detail of a specific challenge, directly from your dashboard.